Moepe offer’s new air-cooled diesel engines, ranging from a 2-cylinder (12kw) to a 12-cylinder (200kw). 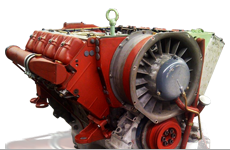 As an additional service we also offer certain reconditioned Deutz engine ranges: 912,913t, 914/t, 413f/fw. 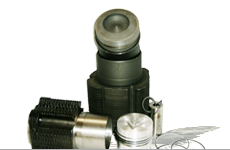 We an expansive range of new, used & reconditioned parts, from engine repair kits to attachments. 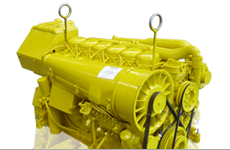 For more information on how we can assist you with your engine needs, please click here. Moepe Parts is the official agent for Ateile in the North West area of South Africa, as well as Botswana. Our objection is to sell original and proven alternative parts equal in quality to the OEM part, but at a competitive price to enhance the advantage to the end user to use Deutz engines in more applications, therefore reducing breakdown time and lower running fleet costs. Our focus remains constantly on the expansion of spare parts for new engine ranges as per customers requirements. We strive to offer our customers the ever best solution on engine repairs and maintenance. Our factory warranty on mechanical engine parts is 12 months. 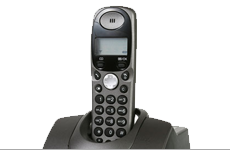 Manufacturer's name, numbers, symbols and descriptions are used solely for reference purposes, not implying that any part listed is the product of these manufacturers. Deutz R is a registered trademark.